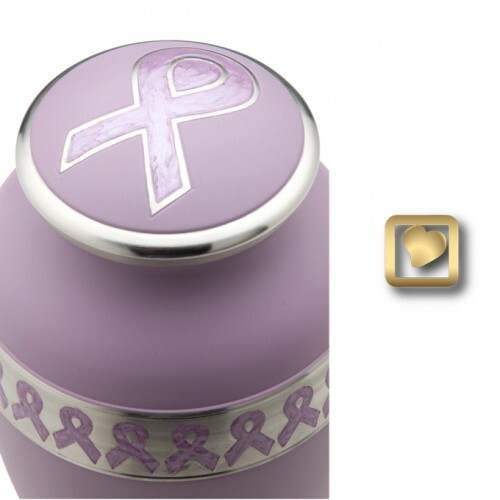 A beautiful Adult Sized Pink Breast Cancer Awareness Urn with Brushed Pewter Accents. It is top loading with a secure, threaded lid. Keepsakes: Matching keepsake and Tealight also available. Tealight comes with a pouch and the keepsake comes with a velvet box. 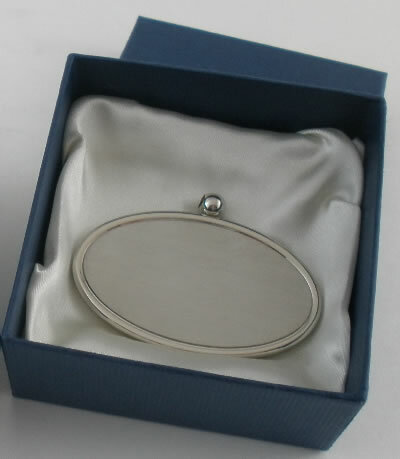 Personalization: Engraved Silver Oval Pendant (1.6" x 2.6") with Silver Satin Ribbon. Pendant ships separately via USPS 1 -2 business days after ordering. Adult: 10"H - Holds 180 cubic inches. Standard Adult size urn. Velvet Pouch Included. Keepsake: 3" H Holds 3 Cubic inches. Velvet Box Included. 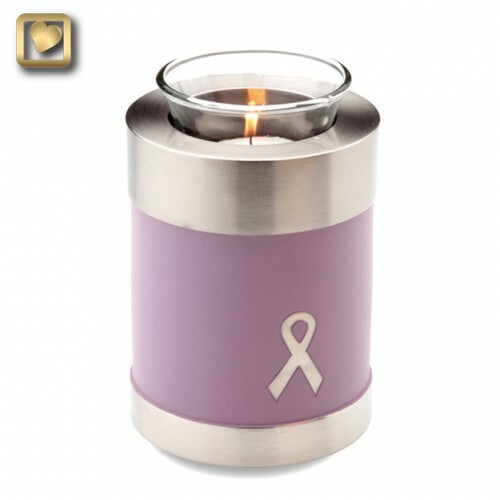 Tealight: 5" H - Holds 18 Cubic Inches - Glass Insert Included. Comes with Velvet Pouch. Candle is not included. Material: Crafted from the finest solid brass with a black gloss finish. 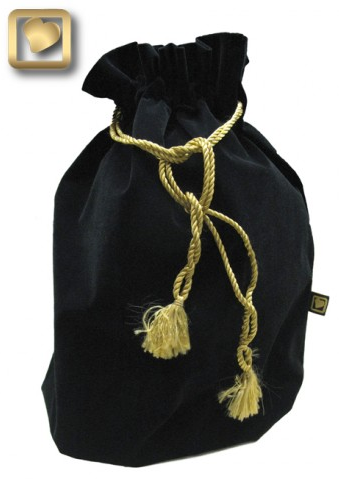 Velevet Urn bag Included. Gloss finish is specially fomulated for these LoveUrns® Collections. 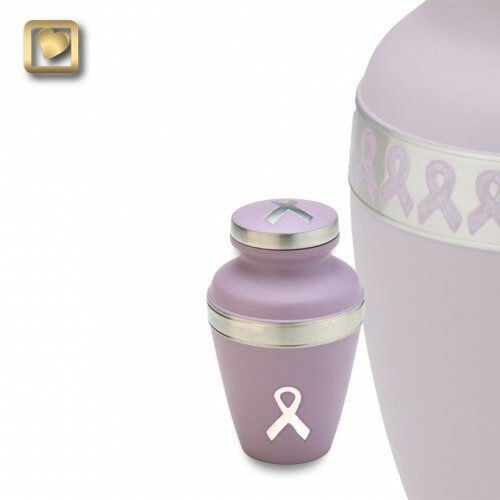 This is an average size urn for an adult and is large enough for the cremains of most adults with healthy body weights of 180 pounds or less.